Even if you usually prefer the convenience of buying things online, you surely know that if you're looking to buy a car, you need to do an actual test-drive of whichever vehicle you're thinking of buying before you buy it. Some potential problems will become obvious during any test-drive: certain people might be too tall to comfortably fit in a particular car's passenger compartment, while other people are too short to conveniently access all the dashboard controls while they're driving. But there are other potential annoyances you wouldn't necessarily notice during a typical test-drive, unless you specifically know to look for them. For example: you likely know the auto-safety tip of checking all four tires before you start any drive, but before test-driving a vehicle you want to buy, you should also test how well the trunk keeps out precipitation: pour a little bit of water onto the hood of the trunk, then open the trunk and see where the water goes. I only just discovered the trunk test last weekend, when my husband and I rented a car for a mandatory (and rain-soaked) road trip, and the rental agency gave us an older-model Dodge Avenger. When we opened the trunk, any water on the trunk lid poured down directly into the middle of the trunk itself. This is at least an improvement over the Saturn Aura formerly owned by a ConsumerAffairs staffer. It rained right through his trunk, whether it was open or closed. "There was enough water sloshing around in the trunk to support several goldfish," he complained. And to cause the spare tire to rot and the jack to rust. 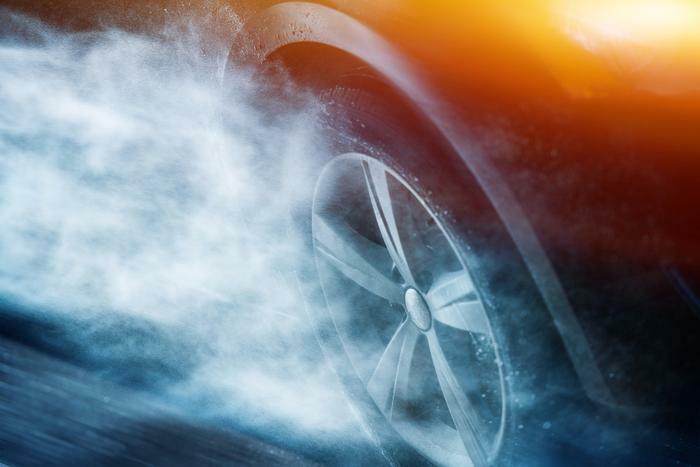 Come to think of it, if you live in an area where you know you'll frequntly have to drive through rain or other precipitation, it might be ideal for you to try test-driving the car while it's raining, in case there are problems you wouldn't notice in better weather. I once drove a “loaner” car while a dealership fixed my regular one; can't recall the make or model, but when it rained, the windshield wipers made an absolutely hideous sound as they scraped against the windshield – not the usual squeak of wet rubber against wet glass, but more like a lower-frequency equivalent of nails down a chalkboard. Another car had its windows and window frames shaped so that if there was any rain at all, even the slightest drizzle, I had to keep the windows rolled all the way up while the car was in motion, because even the tiniest opening resulted in streams of water channeled directly off the roof and windshield into the seats. If test-driving in the rain isn't possible, at least try this: while the car is still parked, open the window and the pour water onto the roof of the car just above it. When the water runs off the roof, does it fall to the ground, or into the open window of the passenger compartment? If you're test driving a car with a USB slot for its audio entertanment system, see if your media player of choice works with it – a car audio system compatible with iTunes might not play a regular thumb drive full of MP3s, and vice-versa. Several 2015 car models are shipping without standard disc players, only USB ports for computer hookups, which makes “compatibility” an issue the same way it always is whenever potentially different types of software are involved.